Part of the so-called Upper Drina hydropower project, along with the 44 MW Foča, 43 MW Paunci, and 44 MW Sutjeska plants. In July 2017, a memorandum on construction of the project was signed with China National Aero-Technology International Engineering Corporation (AVIC-ENG). The river Drina is formed by the confluence of the Montenegrin rivers Tara and Piva at the border with Bosnia-Herzegovina. The 93 MW Buk Bijela hydropower plant is planned within Bosnia-Herzegovina, with its reservoir stretching upstream to the Montenegrin border. Buk Bijela is being pushed by state-owned company Elektroprivreda Republike Srpske (ERS) and a memorandum on construction of the project was signed with China National Aero-Technology International Engineering Corporation (AVIC-ENG) in July 2017. We understand that Chinese state banks may be considering financing for the project. A larger version of the Buk Bijela project has been disputed since the 1970s due to its impacts on the protected Tara canyon in Montenegro, which is both a UNESCO World Heritage site and part of the Durmitor National Park. The newer version, while smaller, also suffers from a number of issues inherent to the location of the planned plant. These issues also apply to Foča, Sutjeska and Paunci. The river Drina constitutes the most significant habitat for the endangered Danube Salmon (Hucho hucho) in terms of habitat length. Over the last 100 years Hucho hucho has undergone a massive decline. It is now found only in a few of southeast Europe’s cleanest rivers. This fish is highly sensitive to low oxygen and moderate levels of pollution and is a good indicator for river health. This means that it cannot flourish in areas with hydropower plants. In fact, the IUCN assesses that the main current threat to the species is the flow regulation from hydropower dams which impact the species, and their prey, habitat and pollution. Hucho hucho is protected under Annex III of the Bern Convention and Annex II of the European Union Habitats Directive as a species of community interest whose conservation requires the designation of special areas of conservation. 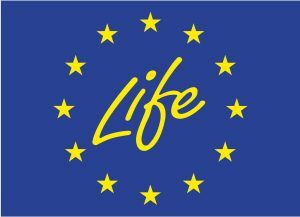 This means that, if the river was in the EU, the stretches of importance for the Danube Salmon, including the upper Drina, would almost certainly be in the Natura 2000 network of protected areas and definitely under the EU Water Framework Directive – which virtually forbids projects that degrade the good ecological status of water bodies. The environmental impact assessment for Buk bijela confirms the presence of Hucho hucho in the Drina. It mentions the construction of fish passes and the fact that these have rarely been implemented in the past for economic reasons, but also that it is uncertain whether they are effective for large fish species like the Danube Salmon. It mentions instead the practice of creating artificial spawning areas. However this seems highly unlikely to be effective for a fish which requires well oxygenated, fast-flowing water and low temperatures. [There must be] no hydropower development, including micro-hydropower in rivers holding self-sustaining populations of Danube salmon. In June 2018, the Aarhus Resource Centre from Sarajevo, Bosnia-Herzegovina, submitted complaints to the Banja Luka District Court against the re-issuing of environmental permits for Buk Bijela and Foča hydropower plants respectively. An environmental permit ceases to be valid if the facility does not operate for a period of longer than four years. This means the Ministry should have initiated a process for cancelling the permit instead of extending it, in contravention of the law. No new public consultation was held, as this is not required under the Republika Srpska Regulation on the procedure for revising and renewing environmental permits. However, as we saw above, this was not the correct procedure for this occasion, as the whole environmental impact assessment procedure should have been repeated. Instead, Article 39 of the Law on Environmental Protection should have been applied, especially as the previous consultation was deficient. The public consultation in 2012 was not held in line with Republika Srpska’s Law on Environmental Protection or the Aarhus Convention, to which Bosnia-Herzegovina is a party. No information about the public consultation was published on the website of the Ministry, nor was the draft environmental impact assessment study published, which is in violation with the Convention. Due to this, the interested public only got to know of the consultation at a late stage, which impacted on their ability to deliver good quality comments or indeed to comment at all. Given that the Buk Bijela hydropower plant, if built, will also impact on Montenegro, especially the protected river Tara, the Espoo Convention requires transboundary public consultation. The 2012 environmental impact assessment study did not adequately examine the transboundary impacts of Buk Bijela on Montenegro, and unilaterally, without any evidence, concluded that there would be no transboundary impact. The normal level of the Buk Bijela reservoir would be 434 metres above sea level. However the border between Bosnia-Herzegovina and Montenegro is at about 432.37 metres above sea level as measured at the point where the river touches the land. So it is clear that the reservoir would at least sometimes extend into Montenegro. In addition, whether the reservoir is physically in Montenegro or not, other impacts such as on fish migration will certainly exist. The study did not look into the cumulative impacts of several hydropower plants in a relatively small area, nor seismological risk, impact on underground water, cave systems and biodiversity in Montenegro, nor the risk of landslides, how sediment transport will be affected, potential accidents and floods. Although the interested public in Montenegro submitted critical comments in 2012 and 2013, the Republika Srpska Ministry does not appear to have taken them into account, and did not respond to them in the decision to issue an environmental permit. The upper Drina area has developed small-scale tourism facilities based on rafting and angling which would be heavily impacted by any nearby dams. In late July it was also revealed by Bosnia-Herzegovina business media that no feasibility study has been carried out for the project yet. It is therefore unclear not only whether it is financially feasible but also what the economic costs and benefits for the local and downstream communities, Bosnia-Herzegovina and Montenegro would be. 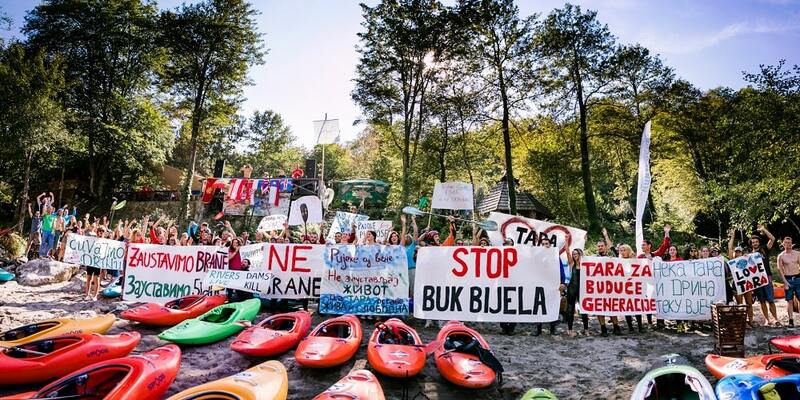 Two communities in central Bosnia have had reasons to celebrate within the last few weeks as they achieved major victories in their campaigns against small hydropower plants near Fojnica and Kruscica. Bankwatch joined them to see what lies behind their success. Sarajevo, Banja Luka, Nikšić, Podgorica, Prague – The Aarhus Resource Centre Sarajevo has submitted two court complaints  to the District Court in Banja Luka against the environmental permits for the Buk Bijela and Foča hydropower plants on the river Drina in Bosnia-Herzegovina near the border with Montenegro.